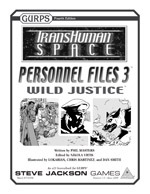 Transhuman Space: Personnel Files 3 – Wild Justice provides the basis for a campaign set in remote East Africa in the year 2100. It provides four fully detailed characters suitable for ready-to-run PCs, templates for new characters, or contacts in a different Transhuman Space story line. The supplement also comes with ideas for how to structure this campaign, plus a sample scenario and other adventure ideas to get the story started. 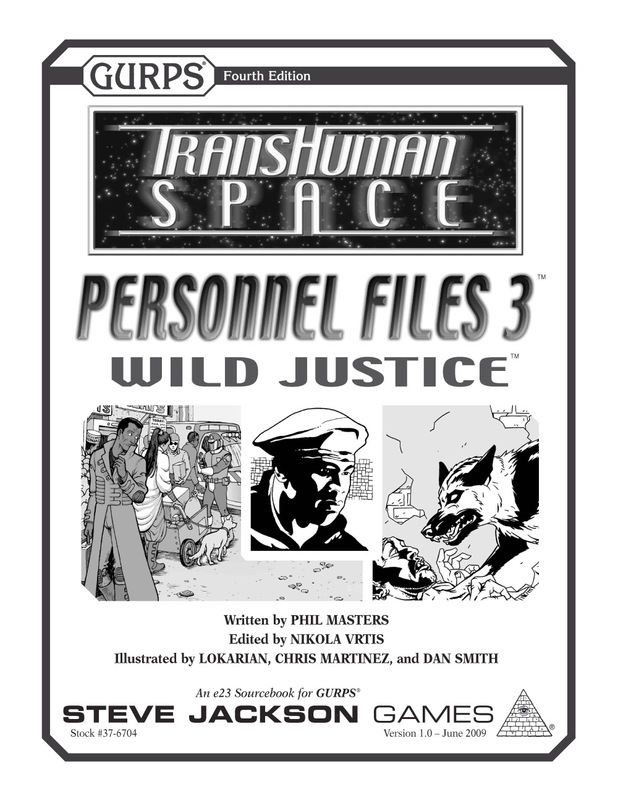 In a world of deep secrets and runaway technology, the heroes in Transhuman Space: Personnel Files 3 – Wild Justice have a big job. It's up to them (and the players) how they pursue vengeance or justice – and as Sir Francis Bacon said, "Revenge is a kind of wild justice . . ."
GURPS Mysteries – GMs who want to develop the central mystery that brings this group together will find this book vital to making its twists and turns!